Bellevue Appliance Repair performs appliance repair in Bellevue, Washington. Our technicians can fix all name brands and all types of appliances. Customers in Bellevue can depend on to arrive at your house on time and receive great service and instant results. 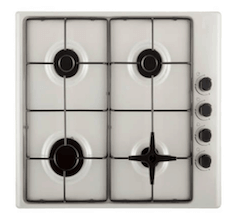 Do not have to go another minute with a malfunctioning appliance in your home! 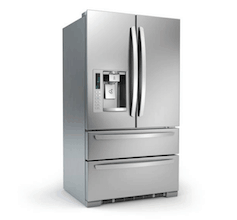 Bellevue Appliance Repair can repair most issues on residential models of refrigerators – includes commercial units, side-by-side and stand-alone. Our certified repairmen undergo continued training to diagnose and fix cooling problems, broken ice makers, condensation problems, water puddles and leaks, light bulbs, digital touch boards, smart synchronization and several other issues. Learn more. 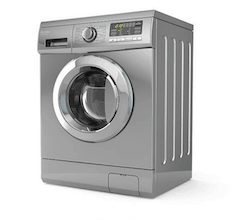 Bellevue Appliance Repair performs service for all types of defects on residential washing machines and dryers. We fix problems associated with agitation, vibration, loud sounds, draining, door closure and many other common issues. Our customers can depend on our technicians to complete the repair within the initial appointment and to restore your appliance to its original performance. Learn more. 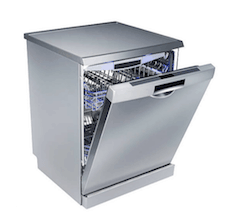 Bellevue Appliance Repair performs professional dishwasher repair in Bellevue. We diagnose and repair more dishwashers every week than any other home appliance. That’s right! We fix all types of defects that create unpleasant odors, hazy silverware, loud noises, agitation, drain-related issues, burning odors, puddling water and several more. Learn more. Bellevue Appliance Repair is certified in repairing stoves, ovens and ranges – including commercial models for commercial establishments. 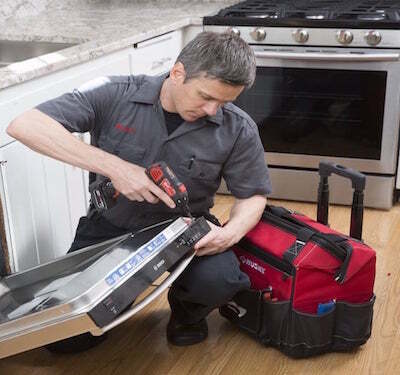 Technicians have the best tools and on-the-job training to fix burners, doors, control boards, heating coils and ventilation on gas and electric stoves. Our oven repair includes a satisfaction guarantee and 1-year warranty on new parts and labor. Learn more. We believe Bellevue Appliance Repair is the top choice for professional appliance repair in Bellevue, WA. We are confident in our service. Our central office is located in King County and our technicians can perform same-day repair for homes in Bellevue. Bellevue Appliance Repair loves Bellevue. We all grew up here and want the very best for residents and the local community. Each one of our technicians can repair and diagnose all types of home appliances. A trained, certified and experienced appliance repairman will be at your location. That’s our guarantee to all of our customers! We offer service for dryers, refrigerators, washing machines, broken freezers, broken wine coolers, ovens and stoves, ranges, name-brand dishwashers and much more! Read our Appliance Repair FAQ. We aim to continuously educate our staff on the newest models and most recent appliance technologies to ensure we are able to help customers! Q. SHOULD I REPAIR OR REPLACE MY HOME APPLIANCE? A. With a broken appliance inside of your home you have two possible options. One option is to call an appliance repair and attempt to cut costs. If it works, you can continue using your current oven, freezer, refrigerator or washer and dryer. The second choice is to buy a new appliance. All appliances have an average lifetime. If it is a broken appliance in the early or middle part of that lifetime, we suggest calling Bellevue Appliance Repair. If the appliance is around the end of its average lifetime, we suggest replacing it with a newer model when your budget allows. Q. DOES YOUR SERVICE FEATURE GUARANTEES OR WARRANTIES? A. Yes. We do. We provide a 1-year warranty on appliance parts and our labor. We utilize top-of-the-line replacement parts for Whirlpool, Kenmore, Sub-Zero, York and almost all other brands of appliances to guarantee we preserve the manufacturer’s warranty. Don’t wait to reach out to our company our service if a issue persists with your household appliances. Q. WILL YOU FIX MY APPLIANCE DURING THE INITIAL SERVICE? A. It’s our goal to finish the repair within the first visit. Over the years, we estimate that our technicians are successful in repairing appliances with one appointment about 90% of the time. We load almost all of the standard manufacturer parts in our service vans plus necessary tools to perform the work. If we need to come back to finish the work, there won’t be any return service fee. Q. WHAT IS THE SERVICE WINDOW FOR A SERVICE CALL? A. When you schedule an appointment from Bellevue Appliance Repair, we will provide a two to three hour window for when our technician will be at your home. And, our technicians will give you a call 15 to 20 minutes in advance of their arrival. We understand how important our customer’s time is. That’s why we try our utmost to arrive on time. Since some repair jobs take much longer than anticipated, we give our technicians some breathing room to complete a previous job and still not be behind schedule for the next job. Q. IS THERE A LIST OF BRANDS YOU REPAIR? You can rely on Bellevue Appliance Repair. You won't be able to find a better staff of repairmen in Bellevue. Very impressed with the service I received from Bellevue Appliance Repair! This is a local service that really cares about its customers. Thank you, Bellevue Appliance Repair - We will be calling them again the next time we schedule professional appliance repair! Bellevue Appliance Repair is the best appliance repair service in Bellevue! Guaranteed! The repairman was extremely careful troubleshooting my GE dishwasher and explained each step during the repair and gave recommendations on how to prevent problems in the future.